Bill Gates and Google are backing this “impossible” food. Culinary startup Impossible Foods first made headlines when news circulated that it was in talks to supply fast-food giant McDonald’s with its meatless burgers. While we have yet to see the plant-based creations on a fast food menu, Impossible Burger is nevertheless on the cusp of great things. Right now, their burgers are being served at eight high-end restaurants across three cities, and they’re preparing to supply more than a thousand restaurants by the end of this year. So what makes these burgers so special? They’re vegetarian, but “bleed” like real meat. 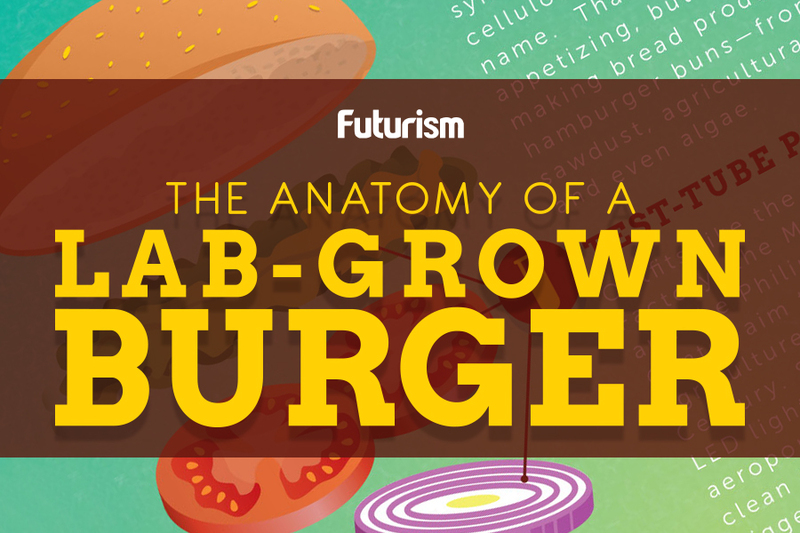 A combination of wheat and potato protein, coconut oil, and a “secret sauce” molecule derived from plants goes into each burger to give it its meaty appearance and taste. Once its newly opened production facility in Oakland, California, reaches full capacity, the company will be able to produce a million pounds of its “meat” every month. Impossible Foods and several other startups are focusing on finding alternatives to traditional meat production not only to tap into the vegan/vegetarian market, but to address a growing concern regarding sustainability. Animal agriculture causes an estimated 51 percent of global greenhouse-gas emissions, and lab-grown meats or other viable alternatives would mean we could reduce our reliance on traditional food sources. Compared to conventional animal agricultural methods, an Impossible Burger already uses 75 percent less water, produces 87 percent fewer greenhouse gas emissions, and requires 95 percent less land. It also promotes a more humane treatment of animals and could prove to be healthier as it doesn’t need hormones, antibiotics, cholesterol, or artificial flavors to develop. One of the biggest barriers to widespread adoption, however, is cost. When engineered meat was first introduced, five ounces cost over $300,000 to produce, but it seems we’re well on our way to making alternative meat options economically viable. One day soon, you make find engineered meat on your supermarket shelf at the same price as, or even cheaper than, the real thing.